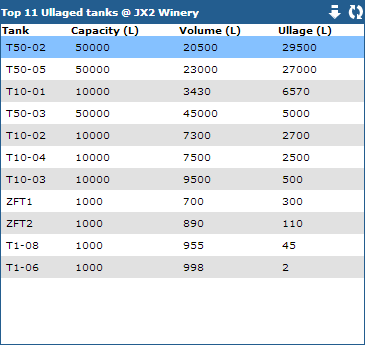 With the Dashboard you can now instantly see Key Performance Information about your winery. 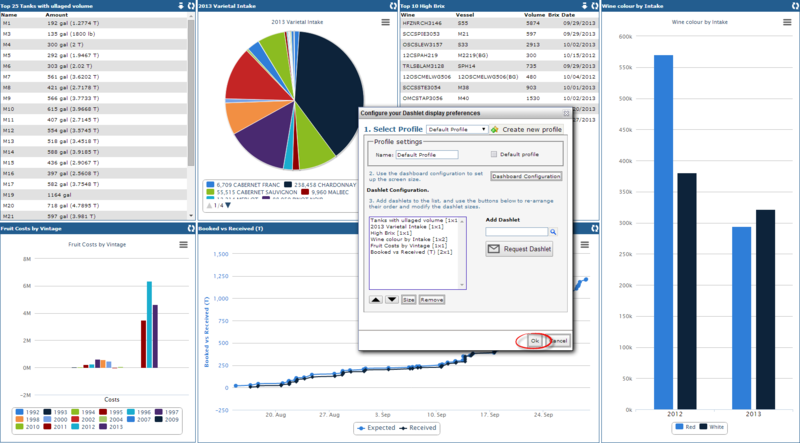 Charts and Lists can be configured and customized to display on your very own Dashboard with different profiles available for different devices or even different times or year (i.e. harvest). We’ll supply you a range of default ‘Dashlets’ but will also help you configure new ones on request. All part of the vintrace subscription service. 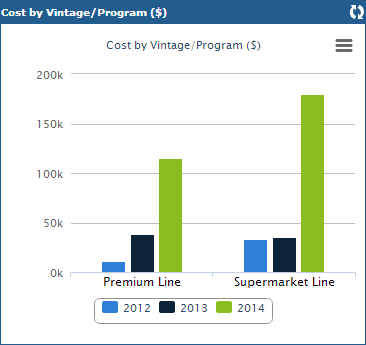 Harvest tonnage by year, Cost by Program, Volume by Client, Booked vs Received tonnage are just some of the many examples. 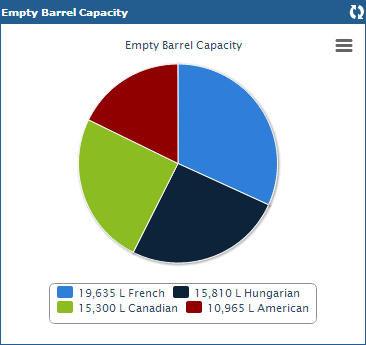 Dashlet: An informative container displaying charts/lists about your winery. Profiles are saved preferences of where and what is displayed on your vintrace screen. The benefit of having multiple profiles is that you can control what you want to see and when you want to see it. 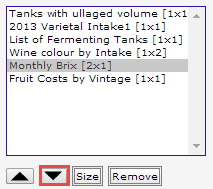 Seasonal: Showing different key information for different periods of the year such as Harvesting, General wine making, Bottling and so on. Different devices: Showing different sizes based on the device, for example your table/ipad may have a different screen size to the computer in your office. On creating/selecting a profile, a cookie is stored on your device to remember your profile preference for that device. 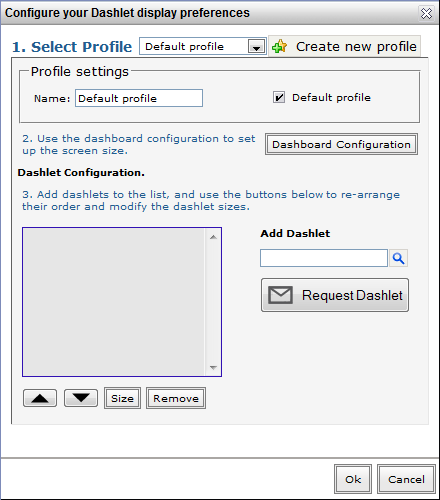 Each time you log into a new device/browser the default Profile will be shown on your dashboard temporarily until you set a profile for that new device. 3. 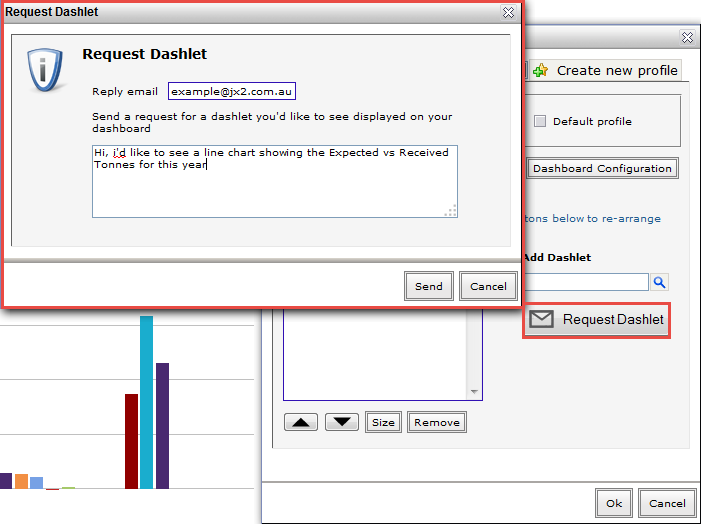 Select which dashlets to display along with their position and size (choose the order and the. Every user has a default profile to start of with. You may change its name or create a new profile to work with. 2. 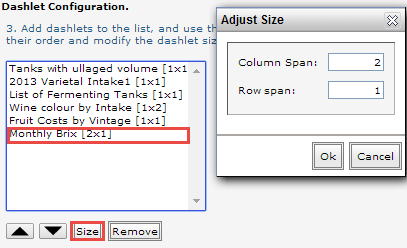 Configure the Dashboard size. 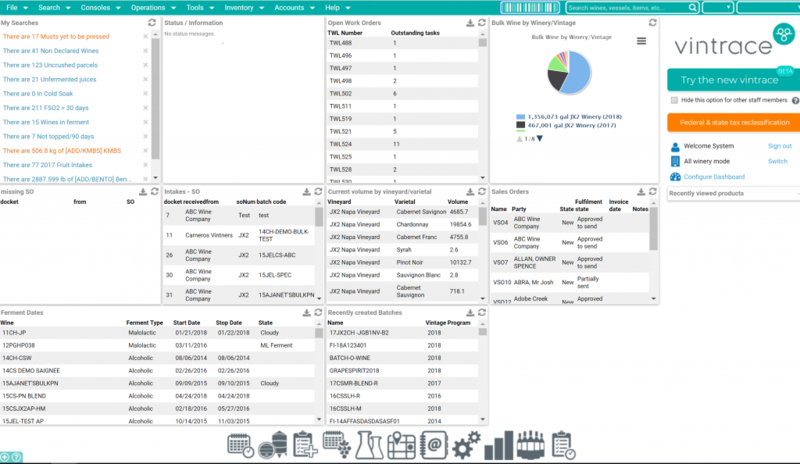 The dashboard is essentially a table which can have varying columns and rows. It’s up to you to decide how many dashlets you would like to fit on your screen. Each Dashlet takes up a minimum of one cell so you can control how many dashlets will fit on your dashboard by the number of rows/columns. There are many varying screen sizes on a number of different devices (laptops, monitors, ipads etc) so you’ll need to adjust the sizes until you find the perfect size for your device/browser. This option which will attempt to fit the dashlets as best as possible onto your screen. Works well with a chrome browser though isn’t guaranteed to behave correctly in other web browsers. 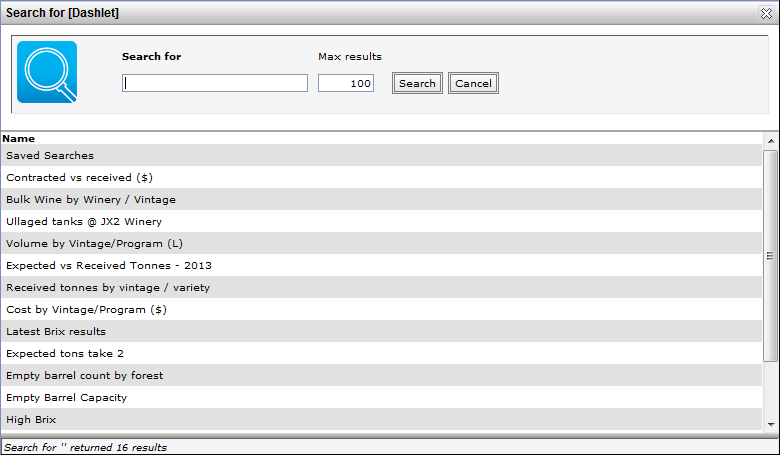 Use the Dashlet Search to add a dashlet to your list of displayed dashlets. The dashlets are displayed left-to-right, top-to-bottom on the dashboard in order. Click on one of the dashlets in the list and use the the up and down arrows to re-arrange the dashlet order. Adjusting the size of a dashlet represents how many columns/rows the dashlet would span. I.e. 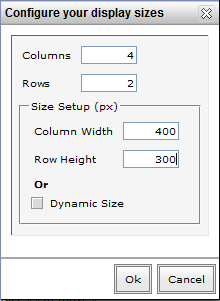 If a dashboard is 4×2 (4 columns, 2 rows) and you adjust the first dashlet to be 4×1 it will fill up the first row. For the time being dashlets can only be created by system admins while an appropriate easy-to-use tool for users is under review.